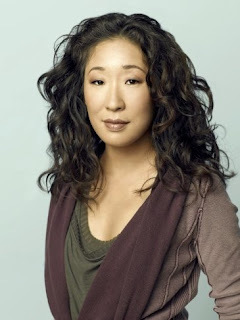 They had to bring someone in from another continent to match the spark and flair of Sandra Oh. 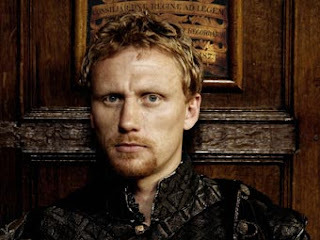 Kevin McKidd was just the right choice. If you aren't up to date on your Grey's Anatomy this won't mean anything to you (and you probably shouldn't read ahead) but Christina and McArmy's (I don't know what the kids are calling him so let's go with McArmy) storyline gave me a subtle but resounding kick to the sternum. I've watched it several times and that feeling doesn't go away. As they walk down the hallway to a gorgeous solo piano piece (can't wait to find that) and evoke a Merchant Ivory production with their contained Victorian passion I nearly burst into tears. I hate with the fire of a thousand suns where I think the storyline is going (his old flame?) but hope that the writers will outsmart me (his sister?). A gentleman named William Harper wrote this episode, which was well done on more fronts than just this one. I suggest we agree to watch him closely. I'll get to that just as soon as I can take my eyes off Oh and McKidd. OMG! The glances and the music were both romantic and just plain HAWT! I call him McArmy as well. They are a couple I would actually want to know in real life. And then I'd ask Christina to ditch whiny Meredith and be my best friend. I got goosebumps. Seriously. I'm in LOVE with McKidd and have been for a very long time. I was elated when he first showed up (I've been jonesing for Journey Man. Bastards canceled a really great show) and have been watching them dance around each other with giddy glee. I don't know where the storyline is going, but I'm with you - I HOPE it isn't an old flame. MY guess is that it's not - his reaction was too visceral. I'm betting that it's the wife or significant other of someone in the service that he couldn't save, or someone who knows something about him that he can't face - something that he's repressed to the point that seeing her makes him physically sick. Oh, and the song? Neither of my iPhone music identifiers knew what it was. Sorry. Oh, man. I needed a cold shower after this episode. And PLEASE let me know when you figure out what piece was playing, mmmmkay? I adore Oh and have long thought she steals the show. It's good to see her meet her match. McKidd is really quite something. I don't watch Grey's, but, oh, how I love him. In Rome he completely knocked my socks off.